100% of the author proceeds from the sale of this book are donated to charity. Do you aspire to be a more effective leader who guides your team or organization to higher levels of lasting success? Would you like to look forward to each day and know that you are having a positive impact on the world around you? This is possible for everyone, regardless of your title or position. 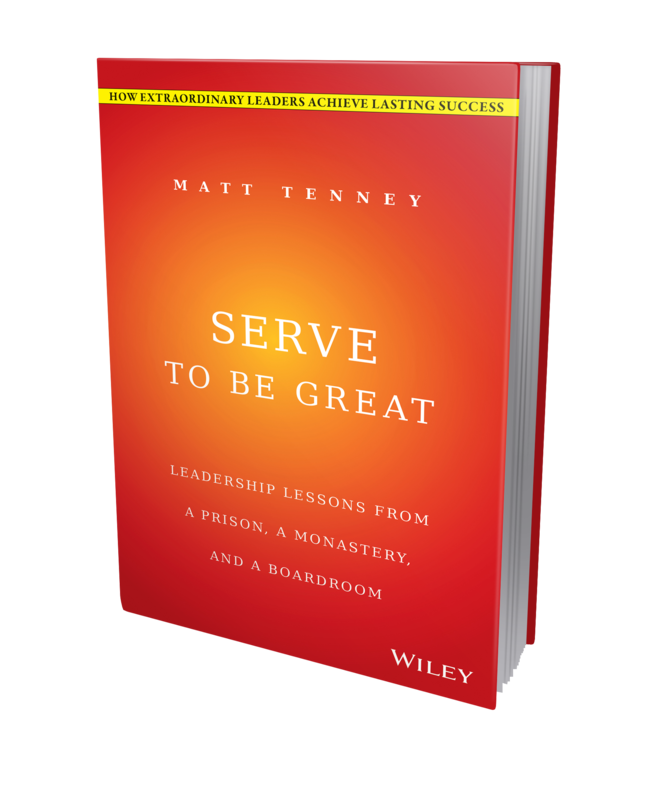 In fact, Serve to Be Great: Leadership Lessons from a Prison, a Monastery, and a Boardroom will train you to make this a reality. Although it’s not an easy process, it is a worthwhile one. By making a shift in your approach to leadership, you can become a highly effective leader who enjoys your work and makes the world a better place. The shift is simply a matter of gradually becoming more focused on how you can serve others and increase your capacity to do so. The book also offers practical, actionable guidance for making the shift to becoming an extraordinary leader who is devoted to serving and inspiring greatness in others. David Marquet – Author of Turn the Ship Around!